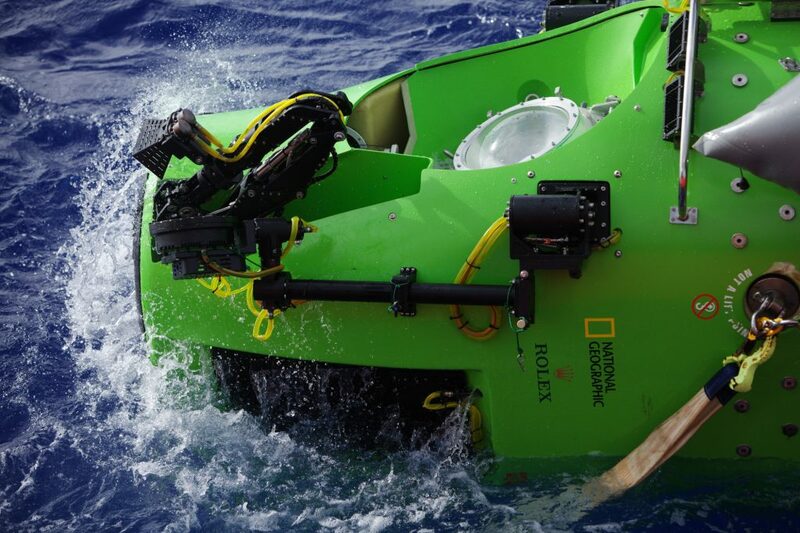 Half a century after setting its first absolute diving record, in 2012, Rolex came back to the Pacific Ocean, for a new descent into the Mariana Trench. Its goal: to demonstrate that it is always ready to reach places that no other watch brand has ever dreamed of reaching. The Mariana Trench stretches like a circular curve around the Mariana Islands in the west of the Pacific Ocean. Its reputation as the deepest underwater place on Earth is extremely easy to explain. If, hypothetically, Mount Everest were placed over its deepest point, named Challenger Deep, 2,000 meters of water would still remain above – almost the maximum depth of the Black Sea. The first exploration of the depths of the Pacific Ocean took place in 1875, when HMS Challenger probed the 8,184m level. 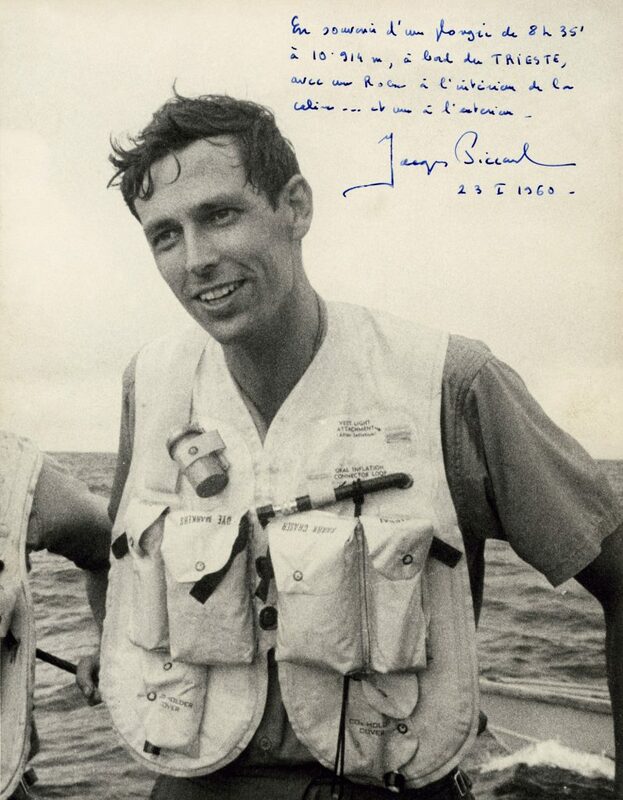 Other expeditions followed, each of them reaching deeper and deeper, but it was only in 1960 that the human crew consisting of U.S. Navy lieutenant Don Walsh and oceanographer Jacques Piccard, managed to reach 10,916m deep after a record dive of 9 hours and 20 minutes. 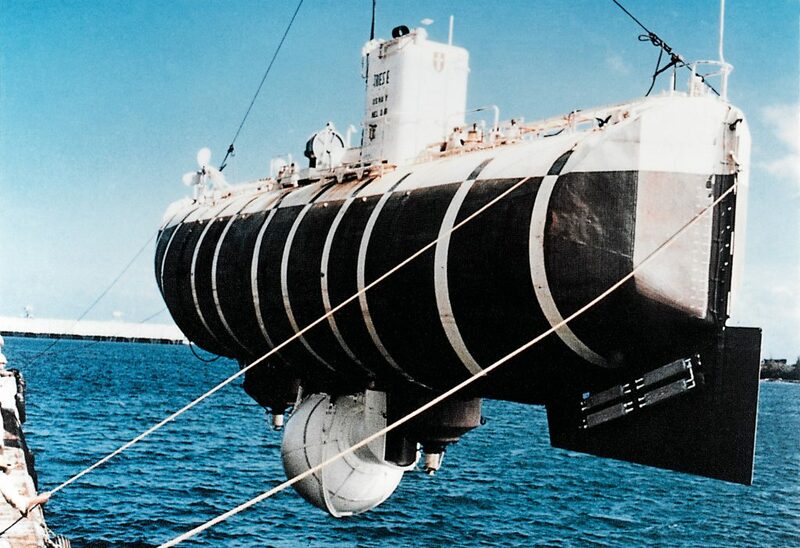 But the two were not alone on board of the bathyscaphe Trieste. With them, well anchored outside the ship, was an experimental watch, whose sole mission was to demonstrate the robustness and reliability of the Swiss Made mechanical components. The brand of the model: Rolex. In 1960, Rolex was already accustomed to premieres. In 1926, the first underwater watch had already swum across the English Channel round the wrist of Mercedes Gleitze. 27 years later, another Rolex watch accompanied Sir Edmund Hillary and Tenzig Norgay on Mount Everest. And now, the special construction of a Rolex allowed it to withstand a pressure of over 1 ton per square cm, without deviating even by one second! 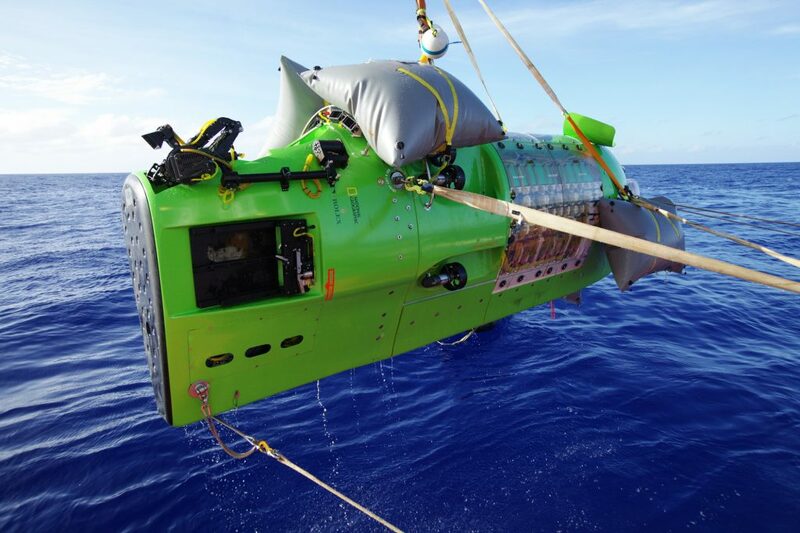 It was a matter of principle and tradition that the new mission to conquer the Mariana Trench, started in 2012, also had a Rolex on board to defy the impossible. 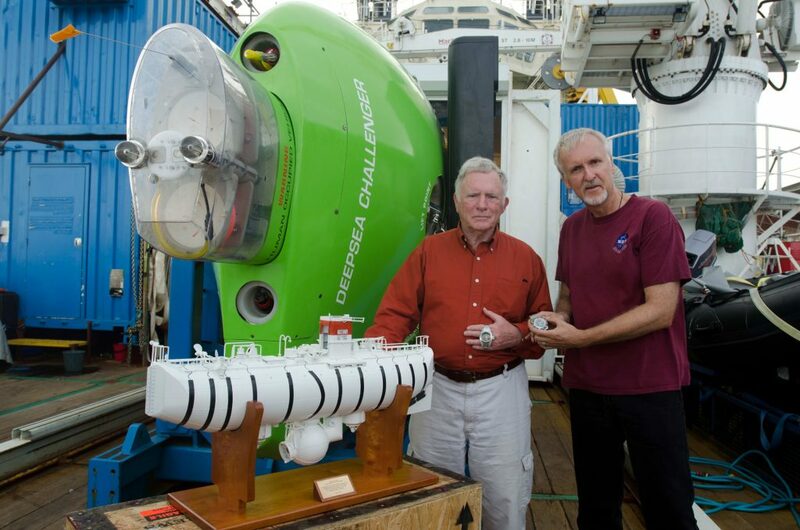 The new adventure was called DEEPSEA CHALLENGE and it was a scientific experiment designed to enable the documentation and understanding of the ecosystem located at 10 km deep. Only this time there was no military man or ocean expert on board of the diving ship, but James Cameron, better known as the director of super Hollywood productions, such as Titanic or Avatar, who, to the surprise of many people, turned out to be a brave explorer. 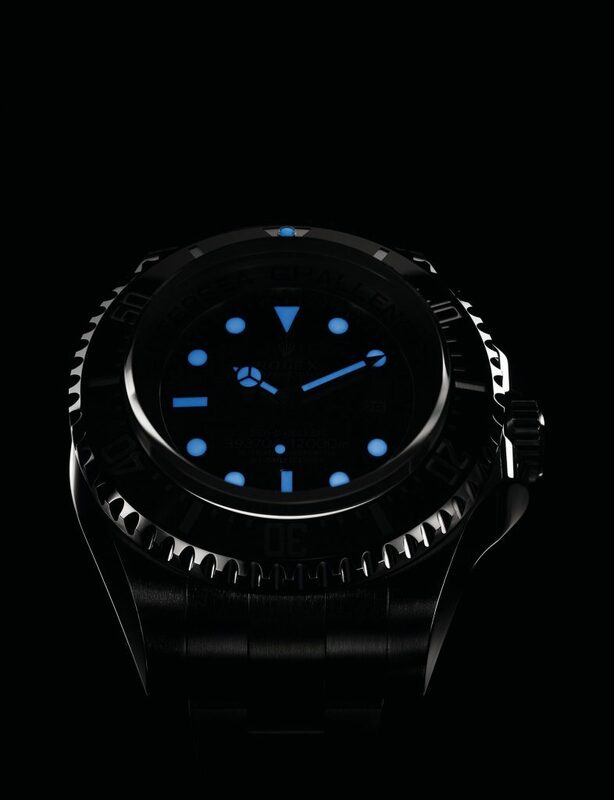 When Rolex heard the news about the launch of such expedition, the time required for the design and production of the unique Deepsea watch was already extremely tight. Within days, the brand had to decide whether they had the necessary resources to enter such a race, because, in just a few months, the watch had to be built, tested by all standards, and embarked on a mission where malfunction was not an option. 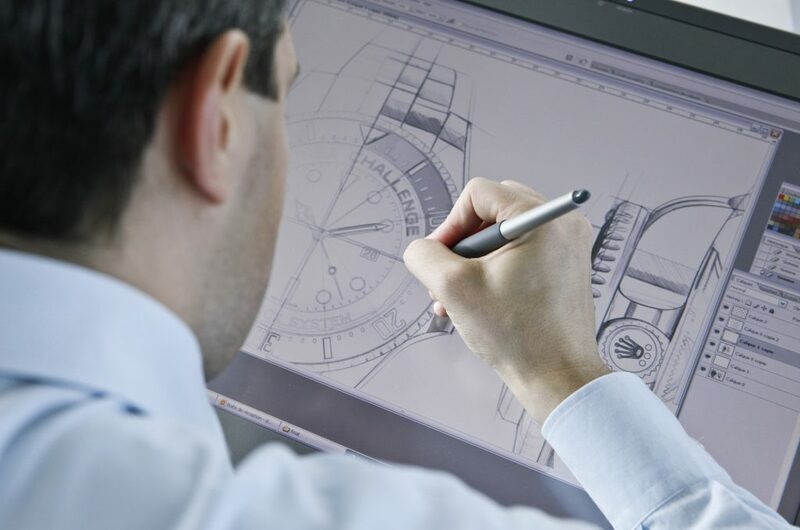 The company’s resources had to be calculated per second, the components had to be designed at maximum speed, and in mid-2011 the watchmaking house was just beginning the first preliminary studies. In a race against time, the Rolex experts found the solution of a Ringlock designed case, with screw-down crown and caseback, backed up by a compression ring made of a high-performance alloy. The role of the ring mounted inside was crucial, as it had to support the crystal glass and ensure resistance to a pressure equivalent to 6 SUVs crammed on each square centimetre of the case. 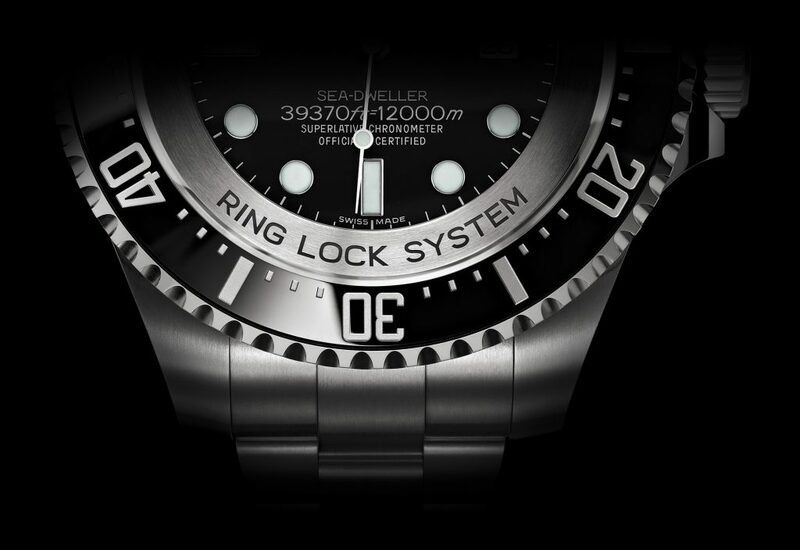 Normally, the delivery of a 14mm-thick synthetic sapphire crystal glass – as the one necessary for the Deepsea model – takes almost two months. As time simply did not allow such luxury, the brand’s experts had to calculate the exact dimensions in no more than one day! The first crystals were ready in a week’s time, and they were immediately taken for testing in a high-pressure unit able to simulate a pressure of 1,500 bar. 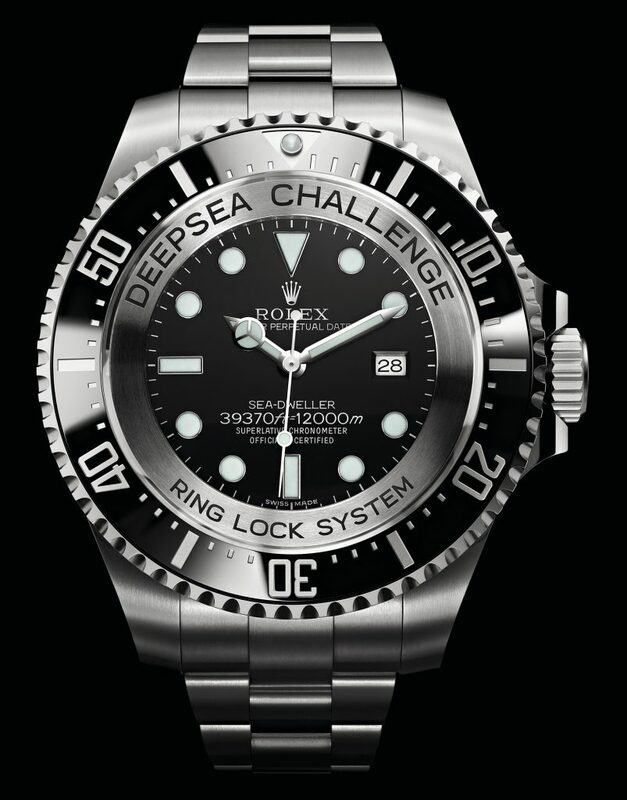 The result would have been conclusive – if the crystals resisted, the Rolex Deepsea project could continue; otherwise, everything would have been in vain. Of the 10 crystals introduced into the hyperbaric chamber, only one cracked because of the high pressure. One week before the dive, the watchmakers at Rolex placed the indicators and the dial on the calibre 3135, and the pressure was as high as on the bottom of the Mariana Trench. Each watch was assembled and reassembled five times, so as to make sure that no speck of dust had gotten inside. The moment when the watch was introduced in the hyperbaric chamber made the experts hold their breath. However, at the end of the experiment, the watch was in perfect order, and the watchmakers applauded. New compliance and quality tests followed, but in the end all the five pieces that had taken so much effort were in their boxes, ready to be delivered to Guam by a small Rolex team. On March 26th, 2012, at 5:23 a.m., James Cameron was lowered in the water aboard the bathyscaphe Deepsea Challenger, and gave the release command. 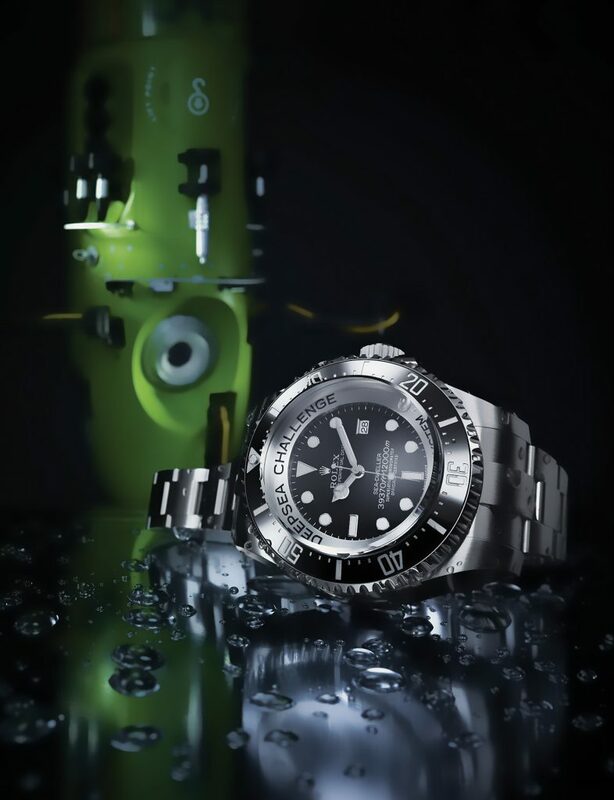 Like 52 years ago, the Rolex watch was outside the submersible, mounted on the arm intended to collect samples from the water and the ocean floor. Inside the ship, James Cameron held the first Deep Sea model, identical to the one used in 1960. At 7:46, Rolex reached again a dark, yet familiar place – 10,908 meters, the place that no other watch has reached so far.